Fans have had plenty to say about Ellen DeGeneres' performance as the new judge on "American Idol." Not everyone is thrilled with Ellen DeGeneres' initial judging on "American Idol"
(CNN) -- Even before Ellen DeGeneres took her seat on "American Idol," the roar began. Cries of "What does she know about music" and "Bring back Paula Abdul" lit up blogs and message boards. Then the next shoe dropped -- anchor judge Simon Cowell announced that the ninth season would be his last. Even fellow celebrities have judged this season's judging. In a recent interview with The Associated Press -- widely circulated on the Web -- legendary R&B singer Patti LaBelle offered her opinion. "Some of the judges, I don't think they're qualified to even judge," the Grammy Award-winning singer said, without specifying which judge to which she was referring. "The comments that were made, they could make you, like, wanna kill yourself." DeGeneres, who has been dubbed "E" by fellow judge Randy Jackson, was to fill the slot some thought was missing in the mix of musical insiders already serving -- that of the super-fan. "She really fills a void," said Jennifer Bailey Bergen who is a member of one of several Facebook fan groups created in support of DeGeneres as a judge, including "Team Ellen (American Idol)." "She's somebody who enjoys the show and I think she's doing a really good job of not at all soft-balling, but offering real critiques." 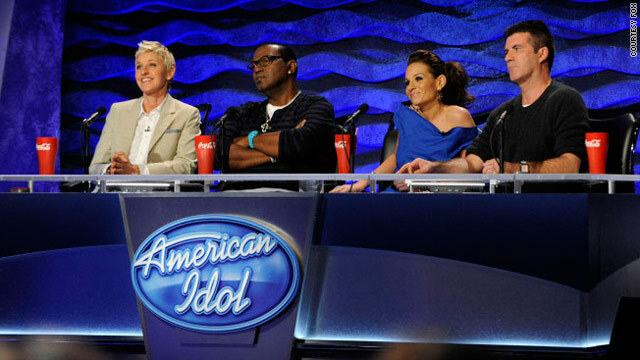 Prior to the performances of the Top 24 contestants, viewers saw only the DeGeneres critiques producers edited from hours of footage during the Hollywood rounds. Now that the show is live, viewers hear her critiques unedited. Michael Slezak, a writer for Entertainment Weekly who covers "American Idol," said fans might want to give DeGeneres more time before they write her off. For her part, Slezak said DeGeneres needs to take the advice often doled out to contestants -- show more confidence. "I feel like her first two live shows, she was a little tentative and in a couple of cases almost apologetic for her lack of musical know-how and I don't think that's the way to go," Slezak said. "As she showed during Hollywood week in the taped portions, she has a strong point of view, she is able to express an opinion in a witty authoritative way and I think she just needs to own it." DeGeneres has been instrumental in picking the musical talent featured on her successful talk show, so she is not quite the novice many believe, Slezak said. Melinda Green, who runs the "Idol" fan site "Top Idol," said she believes DeGeneres will take some time "to find her footing." "I think that because it's a new gig and she's not sure how to play it, she's not being the Ellen that we all know," she said. 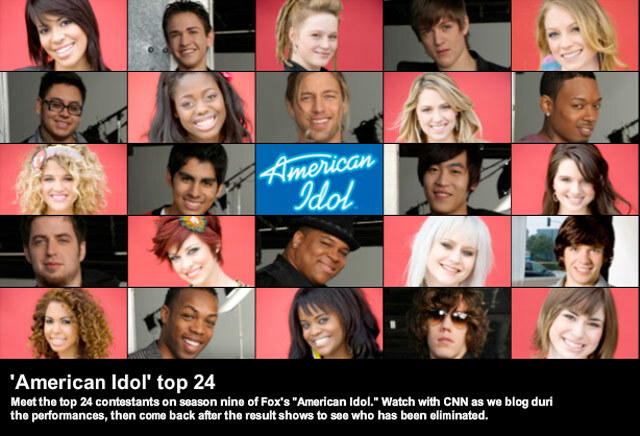 Green pointed out that from a marketing standpoint, Fox was pretty savvy to bring DeGeneres aboard since she is able to use her daytime talk show to spread even more "Idol" love. "She's brought on some of the contestants who didn't make it, like Angela Martin and Shelby Dressel," Green said. "In a way it makes 'Idol' no longer the bad guy in terms of the eliminated contestants, because there is still that outlet to get them before the public." DeGeneres is clearly taking her role seriously, Slezak observed, paying close attention to the performances and not joining in on some of the goofball antics displayed by some of the other judges. As for her reticence, Slezak said she's probably trying to avoid the criticism she suffered for being too loose and free with the punch lines during a guest-hosting stint on Fox's other hit competition show, "So You Think You Can Dance." "We don't want it to be 'The Ellen Show,' " Slezak said. "We don't want her to be a stand-up comic, we want her to be a judge, but I think she needs to get a little bit better at infusing her critique with a little bit of humor."